VATICAN CITY (CNS) — Pope Francis encouraged the bishops of Venezuela to continue supporting their fellow citizens who suffer greatly due to poverty, hunger and sickness. During a nearly two-hour meeting Sept. 11, the bishops updated the pope on the dire situation endured by the population under the administration of President Nicolas Maduro, said Archbishop Jose Luis Azuaje Ayala of Maracaibo, president of the Venezuelan bishops’ conference. Pope Francis “spoke to us about that ‘parresia’ (boldness), that strength that we as bishops must have, and he insisted a lot on our closeness to the Venezuelan people, to all the Venezuelan people, but especially with those who suffer most due to all these calamities,” Archbishop Azuaje told journalists Sept. 11. Pope Francis met with the 46 prelates from the South American nation earlier in the day during their “ad limina” visits, which bishops are required to make periodically to the Vatican. The Venezuelan bishops’ conference tweeted a photo of the meeting with the pope, along with Pope Francis’ words of encouragement. “I know that you are close to your people and I ask you: do not tire of that closeness. And thank you for your resilience,” the pope said, according to the tweet. Under Maduro, Venezuela is suffering an economic meltdown due to hyperinflation, which “deteriorates any margin of profit” made by those who work, Archbishop Azuaje said. Venezuelans, who once had the proud tradition of remaining in their homeland, “instead are now forced to move out” and seek refuge with families, friends or charitable organizations outside the country, the archbishop said. Like their fellow citizens, priests also have been forced to travel to neighboring countries for health care since basic medical supplies are scarce in the country. The archbishop said that foreign missionaries in the country have had their religious visas revoked, thus forcing them to abandon those entrusted to their care. 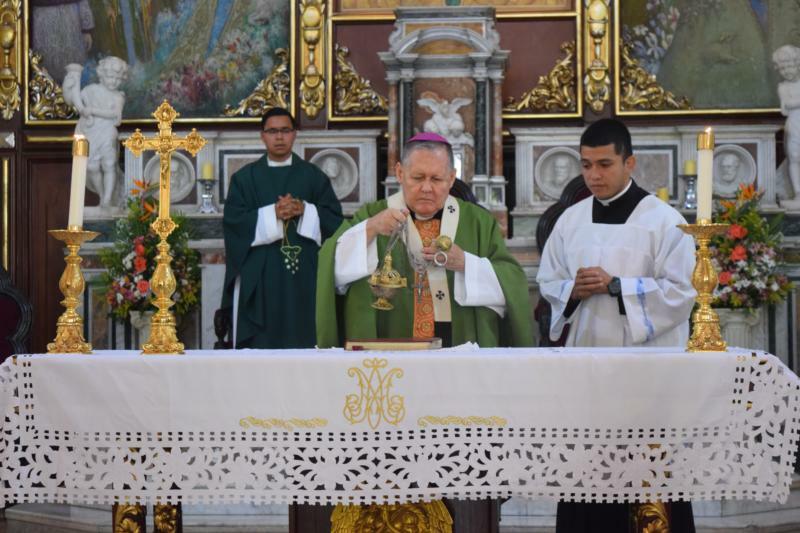 Each bishop is sharing the struggles and the hardships endured by their flocks, Archbishop Azuaje said. Pope Francis, he said, focused primarily on ensuring that the church has the necessary resources to assist the Venezuelan people and called on the country’s bishops to continue to highlight the value of human dignity.